Downtown living at its finest in this great condo with beautiful views of downtown including views of the historic post office and other historic buildings. This 1,100+ square foot condo offers a large foyer with oversized closet that is perfect for office. This floor plan has a spacious great room dining room combo, kitchen with an abundance of cabinetry, and a large master bedroom, full bath and laundry with washer/dryer included. This unit includes two storage areas including one on the same floor as the unit and one in the parking area. Two parking spaces are also included with this unit including one indoor/garage parking spot. 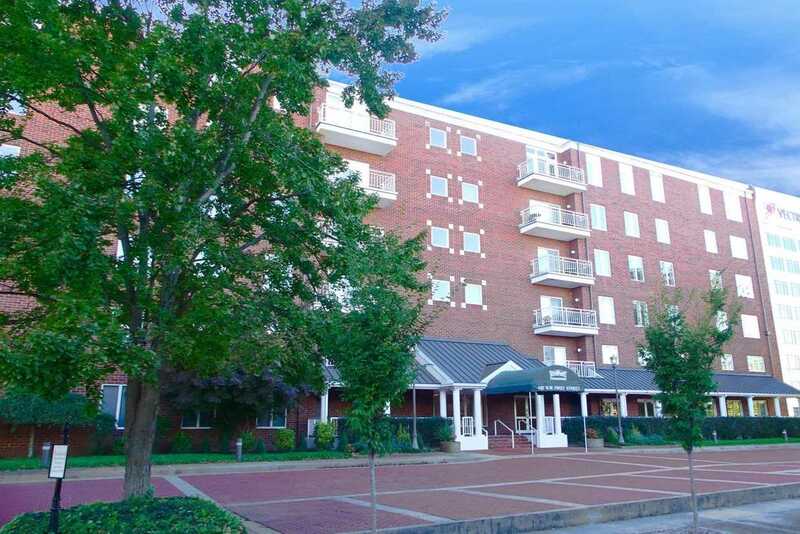 The Riverfront Condos offer a convenient downtown location in walking distance to events, dining, and shopping. Residents have access to a community pool and a party room. Enjoy views of downtown, sunsets, and more from the balcony with sitting area. The monthly condo association fee includes security, water, trash, basic cable, exterior maintenance, and master insurance policy. SchoolsClick map icons below to view information for schools near 100 NW First Street #407 Evansville, IN 47708. Listing provided courtesy of Penny Crick, Era First Advantage Realty, Inc.